Story: New Yorker Harvey Shine (Dustin Hoffman) is on the verge of losing his dead-end job as a jingle writer. 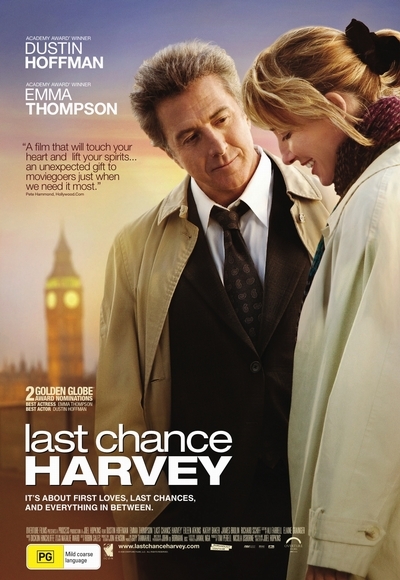 Warned by his boss (Richard Schiff) that he has just one more chance to deliver, Harvey goes to London for a weekend to attend his daughter's (Liane Balaban) wedding but promises to be back on Monday morning to make an important meeting-or else. The growing connection between the pair inspires both as they unexpectedly transform one another's lives.